Experience two slices of old Kuwait on a private Kuwait City tour that eliminates the need to arrange or wait for cabs. 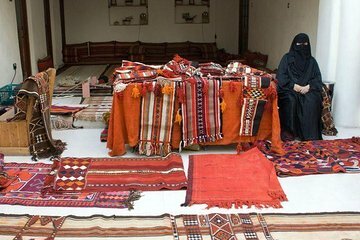 Visit the Sadou House to see and learn about traditional Bedouin weaving and architecture; and explore the Al Mubarakiya Souk, the city’s oldest market, to absorb the atmosphere and shop for handicrafts, gold, carpets, spices, and more. Cap your explorations with dinner (own expense) at a local restaurant.